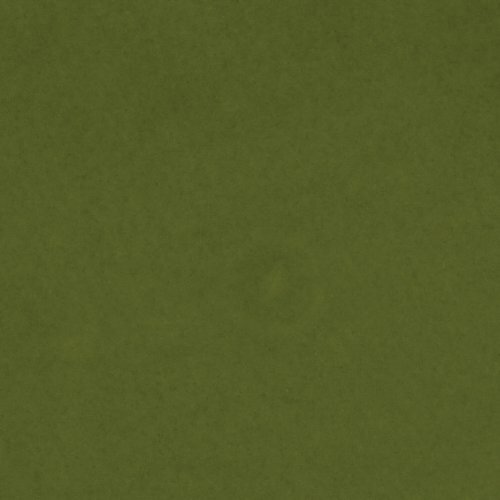 Product prices and availability are accurate as of 2019-04-12 13:23:35 UTC and are subject to change. Any price and availability information displayed on http://www.amazon.com/ at the time of purchase will apply to the purchase of this product. 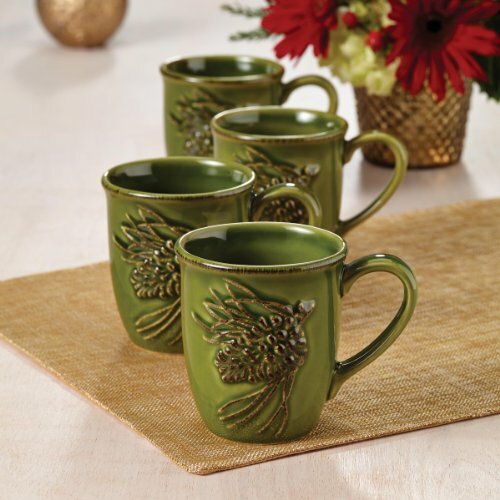 Warm hearts and souls this holiday season with a cup of rich hot chocolate served in the Paula Deen Signature Dinnerware Southern Pine 4-Piece Mug Set. 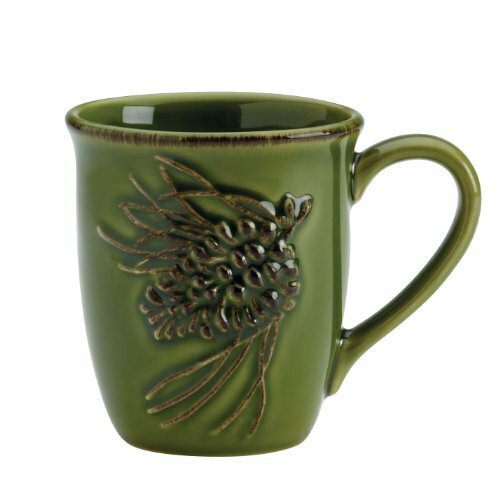 These durable embossed stoneware 11-ounce mugs feature a raised pine cone pattern that adds just the right touch of holiday spirit to every table. Even better, the versatile design of this dinnerware makes it great for serving memorable meals year-round. Add Southern charm to the breakfast table with coffee served in these festive mugs, or end a memorable meal with a soothing cup of hot tea served with casual style. For convenience, the stoneware is microwave safe, dishwasher safe and oven safe to 250 Degree F. The vintage-inspired raised pattern is sure to impress guests and it coordinates well with many other pieces in this Paula Deen Dinnerware collection. 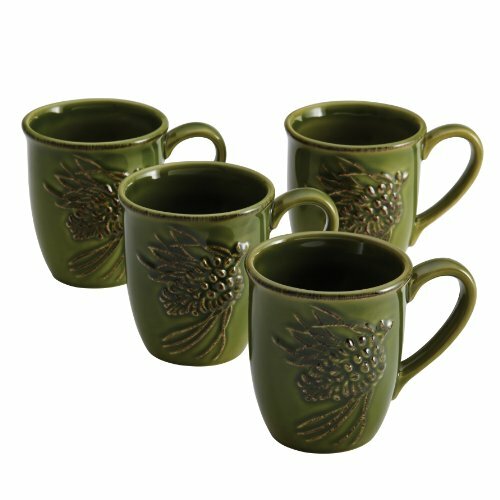 Get everyone in the spirit for the most joyful time of year by serving beverages in the Paula Deen Signature Dinnerware Southern Pine 4-Piece Mug Set.